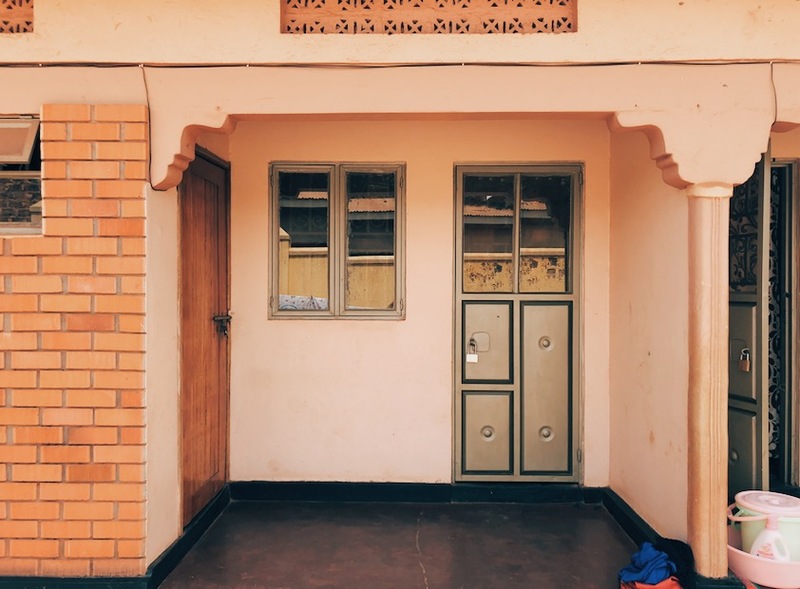 Get all the details about what a semester abroad in Uganda looks like with ILP. Volunteering and visiting Africa may be the ultimate bucket list experience ... but how do you make it happen? Traveling to Africa on your own can be a bit intimidating ... it's not exactly like backpacking Europe but that more than adds to the adventure. A quick visit to Africa means having time for a short safari or a week or two of helping out in the community, but if you really want to experience this part of the world, you need more time. Lots of time. 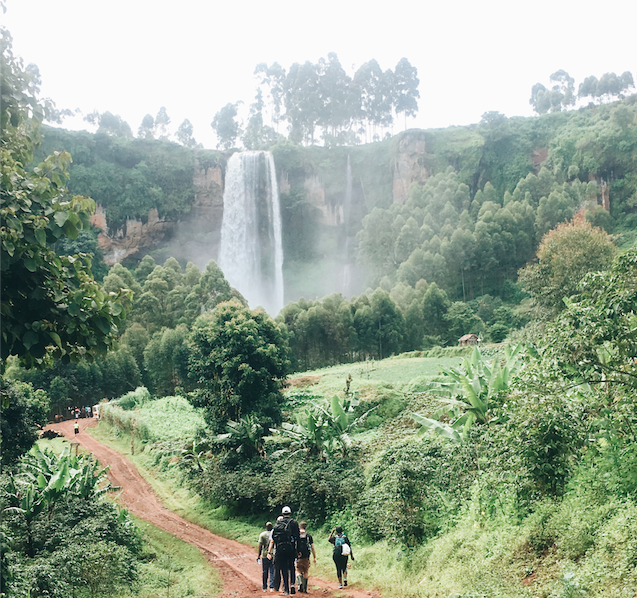 Spending a semester in Uganda means seeing exactly how far your volunteerism can go, plus seeing more than what the typical visitor sees. 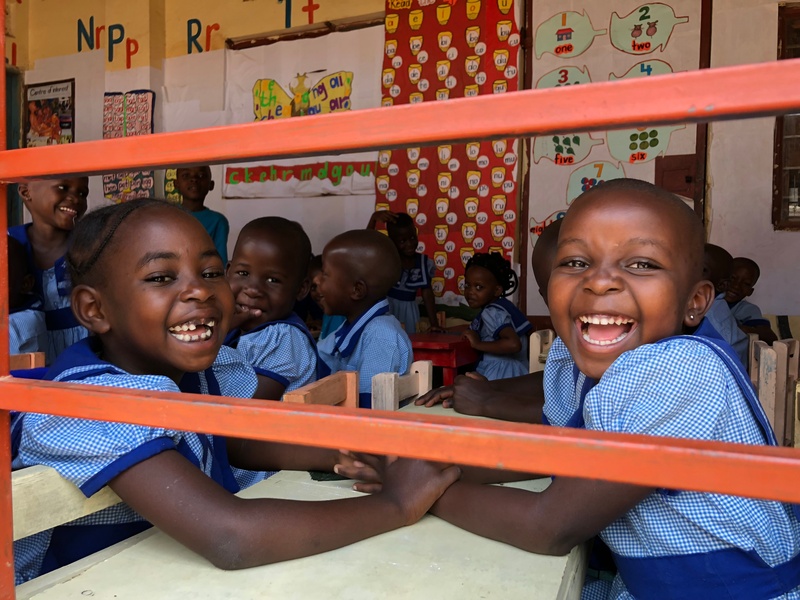 If you're interested in volunteering where you can make a difference in and out of the classroom ... send in your ILP application to come to Africa with us! Check out all the details about what a trip with ILP entails, who can apply, what it costs, where you can travel to, and what a typical day is like for a volunteer. Lined with red dirt roads, complete with cement eateries and shops between tropical plants, your town is a small suburb outside of the sprawling capital. The overall experience of being an ILP volunteer is similar in every country, but each location has its own unique aspects and adventures. For example, your meals in Uganda will obviously be different than your meals in China! Things like your housing, meals, teaching times, group sizes, etc are all different depending on where you volunteer (and they can change a bit from semester to semester). Your experience may not be the same as another volunteer's ... even when you're in the same group. Wake up bright and early in time for breakfast. You have a cute cook who prepares all of your meals for you and today you've got a pretty typical dish; eggs and chapati (a sort of tortilla), served with a fruit you hadn't heard of before coming to Africa — jackfruit. The hulking fruit can weigh up to 100 pounds and is covered in a green spiny rind. It takes some effort to split open the rind and pick out the pods of sweet, fruit from the thick yellow fibers inside, but it's well worth the effort. You're just a short walk away from the school you teach at in the mornings, so you grab a backpack of supplies and head down the dirt road with a few other of the morning teachers. You hear people shout a friendly "mzungu" (which means white person) as they zip past on motorcycles and wave. The kiddos are so happy to see you (that's not that unusual) and you have a bit of trouble wrangling them from playing outside into their classrooms inside (also not unusual). You gather all the kids to sing songs for a few minutes before breaking up in smaller classes. You're teaching "Games" this week and the kids cannot stop giggling while playing "Don't Eat Pete". It's huge hit. ILP classes are activity-based so students are having fun and are engaging with you all while they learn English naturally (so it's totally fine if you've never taught English before). Your class is also small so that you know each of "your kids" by name, know their personality, and see how they learn best. Classes are over and you decide to hang around and help out a few of kids on your walk home; you stop right by a freshwater well and take turns pumping the heavy handle up and down so the kids can get a break from pumping and focus on filling. Who knew you could get such an arm workout without a gym? Your ILP group actually helped build one of the wells like this, which provides fresh water for hundreds and hundreds of people. You have access to clean water at your house, but that's extremely rare. Most people in your neighborhood need to carry plastic containers to the closest water source, which might be a clean spring or might be a muddy pool rimmed with trash. You're looking forward to the end of the month, where your group is helping set up another fresh water spring to help even more people. You walk back home with your group, and see the afternoon teachers finish up lunch and head to their school. You pile into the kitchen and settle in to a feast of rice, a hefty slice of avocado, beans in a g-nut sauce with a side of pork, then it's time to get a few things done. There isn't a washing machine around but you're just grateful you have piped water at your place and don't have to take daily trips to the spring to do your laundry. You and some of your group members sit down and start scrubbing your tee shirts and pants clean; it takes a minute to wash out all that red dirt, but you guys are swapping vacation ideas for the weekend and time passes pretty quick. Your family is 9 hours ahead of you (MST) so after lunch and laundry you call them right before they are going to bed. Sometimes the WiFi is quick enough for a video call but you settle for an audio call today. You're taking requests for souvenirs from your siblings; you sent home pictures of all the colorful clothes and drums at the market and now everyone wants something from Africa! Some people are catching up in journals, some are sketching the sunset, but you're into pretty competitive game of cards that's only broken up after dinner is announced. It's similar to lunch, but everyone's pretty excited when a few teachers share the cookies they bought at the local market yesterday. After dinner, you make the short walk to the nearby studio for your $1 Zumba lesson that you signed up for. Walking back, you're looking forward to a cool shower. The water here isn't heated, but all year round Uganda stays pretty warm, so you've gotten used to cooling off by rinsing off right before bed. Right before everyone goes to sleep you hang out in the courtyard and look up at the bright full moon — excited for the weekend safari you have planned! There's lots of exploring to be done in and around where ILP volunteers live in Uganda. Like we mentioned, the experience is different for everyone. We give you the tools to live abroad, the free time, and the meaningful purpose of service ... and we even put together information to help you get a glimpse of what to expect before living in Uganda, but then ultimately you're responsible for what you get out of the semester. You'll also get the chance to give back outside of the classroom; there will be opportunities for you to get involved with other service projects such a building clean water wells, helping teach health and hygiene classes, and visiting neglected children and the elderly. Learn more about special service projects in Uganda! ILP volunteers have scheduled vacation time throughout their semester as well as every weekend off, which is good news for you; you can easily stay busy just exploring what's found in your own country. 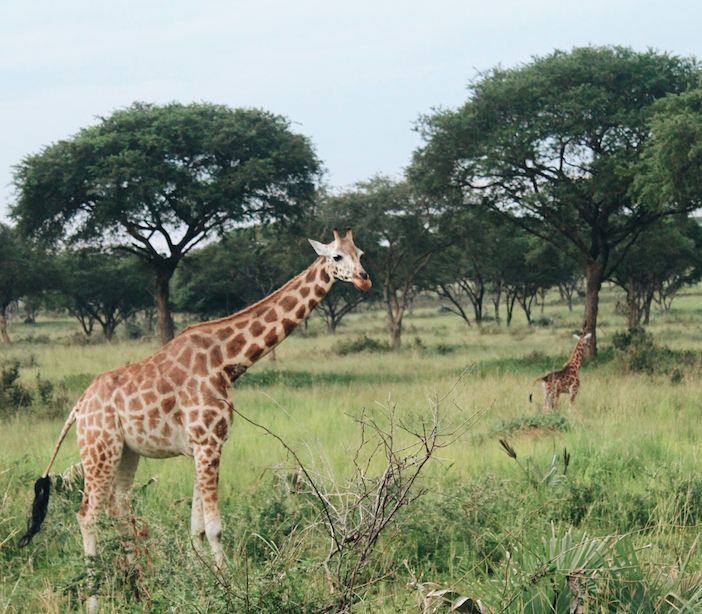 Uganda is known for tropical forests hiding primates like gorillas and chimpanzees, dry desert plains which are home to animals like giraffes and elephants, and tumbling waterfalls. Transportation in this country can be rough (think driving via bus over bumpy dirt roads and gridlock traffic in the city of Kampala) but making the trek to the corners of Uganda are worthwhile. If you're looking for adventures in another country, you're also in luck. Volunteers also have the option to explore things like thundering waterfalls, volcano treks, safaris and beachy vacations in other countries. You'll have your travel plans approved by an ILP director to help ensure you're traveling to safe areas, but otherwise it's really up to you and your group where you'd like to go. Kenya: Safari here and keep an eye out lions, leopards, elephants, buffalos and rhinos, or relax on Lamu Island. Rwanda: Hop over to a bordering country for the chance to hike volcanoes. Seychelles: A chain of 100+ islands, you'll find turquoise waters, sand as soft and white as powdered sugar and swaying palm trees. Mozambique: Hang out on the shores of the Indian Ocean or explore a safari in the Gorongosa National Park. Zimbabwe: This county is a must-see spot for those wanting to see another side of Victoria Falls and impressive national parks. Travel within Africa is usually either one of two things: very inexpensive and a bit time consuming, or faster but more expensive. For example, travel with Uganda is fairly affordable, with most tour packages including transportation or DIY options where you ride via local buses along bumpy dirt roads for just a few dollars. For out-of-country adventures, flights can be a bit prices and traveling via road might be restricted, meaning you'll have to fly. 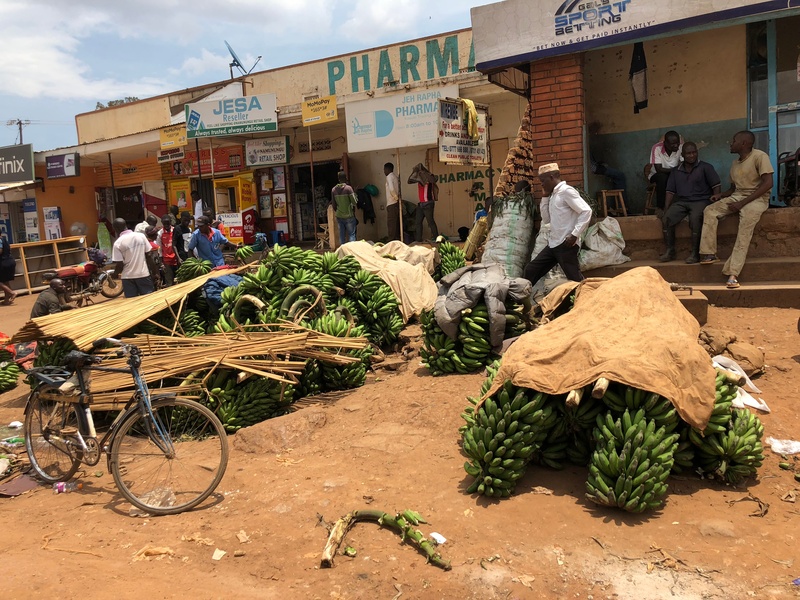 Another thing to note: for you, life in Uganda is very affordable so you won't be pay a lot at all at local cafes, local transportation, and snacks and such at the markets. That comes in handy because the excursions you'll be wanting to go on will be where most of your money goes. Multi-day safaris are anywhere from a few hundred dollars to a couple of thousand for luxury options. Just keep in mind that if you want to have some adventures and are on a budget, it's best to save up for a safari than spend your money at the markets (it's inexpensive, but does add up!). Living in Uganda for a few months gives you the time you need to really experience all the things you're looking for. We feel like the best part about this country are the locals and the friendships you make! Take some Lugandan language lessons and test out some common phrases when you're out and about. Although English is spoken here, they'll love you for attempting to learn another language. Hop in a taxi (think "mini-bus full of locals" not your classic "NYC yellow taxi") and ride into the city. Test out some local snacks at a nearby store ... anyone for g-nuts? Get stuck in gridlock traffic; your hour drive just turned into three, Ugandan style! Become an amateur bird watcher; instead of pigeons, Uganda is home to huge storks that hang around the capital city. See if you can spot all 1,000+ species found here. Qualifications - who can volunteer? ILP volunteers are young adults/college-aged - typically age 18-24 (yes, you must be at least 18), from the US and Canada, and speak English as their first language. There is no experience necessary! It's totally fine (and normal) if you only speak English and/or have never taught before. Single females and single males can apply to volunteer in Uganda. The group is typically 10-15 volunteers. Lugala. It's a suburb on the outskirts of the capital city of Kampala. The program fee to participate as a volunteer in the Humanitarian program in Uganda is $5,470. This includes your roundtrip international airfare to Uganda, housing, meals, training, and support for the entire semester. We recommend volunteers to fundraise $3,000 of your program cost. We have help with fundraising here. You might notice that the cost here is a bit higher than some of our other volunteer locations. That is because Uganda is a Humanitarian Program; the children you serve are receiving an ILP English education they aren't paying for. Some of your students will come from very limited means and in a country where learning English well means succeeding in school from an early age, it's an incredible useful skill to be sharing. You can compare Exchange and Humanitarian programs here. We also suggest budgeting around $1,500-$2,000 for any traveling and purchases you make while you live abroad as well as things you may need that the program fee doesn't cover (like a passport, health insurance, airline baggage fees, etc). Psst! Is budget one your concerns? We have a guide with ways to make a semester abroad affordable - check it out! It's especially helpful for college students. Welcome to your new ewakka! (Ewakka means "home" in Lugala, which is one of the common languages in Uganda). Your ewakka is a gated courtyard, with open space to hang around in, and a couple of buildings for housing. You'll be sharing a room with 3-6 of your fellow volunteers. One building is dedicated to 4 apartments (each complete with a bedroom and bunkbeds to share, and a bathroom) while another building is home to the kitchen, a bit of a living room to hang out in, an another bedroom to share. Warm - pretty much all the time! You'll see lots of sun as well as some rain. You can start your application online right here. It's easy to get started and there's no commitment at this point! We start accepting applications about 1.5 years prior to the start of the semester and there are no deadlines (we fill spots on a first-come-first-serve basis). We recommend applying when you know you're interested in volunteering. As soon as you apply you'll be assigned an ILP representative who can answer all of your questions, give you tips, and just be your go-to person when you need help. It's really helpful to use past volunteers as a resource! So how can you get in touch? We're posting tips from volunteers on our blog frequently, along with favorite vacation spots and things to do on your semester in Uganda. @ilpadventure is frequently posting about all of our locations, giving updates, and more so make sure to follow us there. Follow #ilpuganda to discover volunteer's personal accounts and follow them. We even have an Instagram account called @ilptakeovers where we ask volunteers who are in-country right now to take over and post some stories about what they're doing and put a post on the feed. Volunteers are usually featuring what a typical day looks like, what the meals are like, info about vacations they are taking, things to pack (and not to pack), what the neighborhood looks like — you know, all the things you want to know from their perspective. You can see what they're doing from day to day and also DM them with questions! Most volunteers are so happy to help you out because they also had tons of questions before they signed up. The representatives who work in the ILP office have volunteered on our program before and love to talk about their experience and answer your questions. Check out the form below where you can leave your contact information and we'll have a rep reach out and text you. If you'd like to receive more information about volunteering in Uganda (or any of our other locations all over the world), drop your information below. One of our representatives who has volunteered before will reach out and text you to chat about your questions.